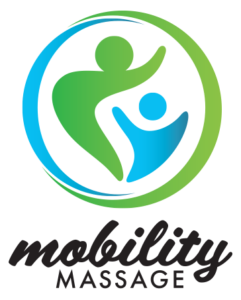 Mobility Massage is owned and operated solely by Licensed Massage Therapist, Jess Brady. Located inside Paragon Health + Fitness, Mobility Massage offers a variety of types of massage in a modern and private setting. Every session is tailored to the needs of the individual. Everyone’s needs are different so the approach may include several different modalities within a session. Operating out of Paragon Health + Fitness has allowed for many partnerships with fellow massage therapists, personal trainers, registered dietitians, and licensed estheticians. Discover how Mobility Massage and it’s partners approach to health and wellness can be the key to improving your quality of life. Relaxation massage that eases everyday muscle tension and promotes stress relief with light to medium pressure. A service offered for Moms to be! Usually done in a comfortable side lying position, prenatal massage helps to increase circulation, reduce stress and anxiety, and relieve any discomfort associated with pregnancy. This type of massage focuses on chronic conditions, injuries, immobility and much more. While applying a medium to firm pressure, the deeper layers of the tissue in the body are manipulated. Therapeutic massage helps relieve muscle and joint aches and dysfunction, allowing for better movement and better quality of life. MLD, also known as lymphatic massage, promotes good health by supporting the immune system, reducing fluid retention/swelling, and increasing lymph circulation, among many other things. This light and rhythmic form of massage is effective in treating many chronic illnesses and conditions and is one of the few treatments for lymphedema. Refer a friend and receive 30 minutes of massage free of charge!